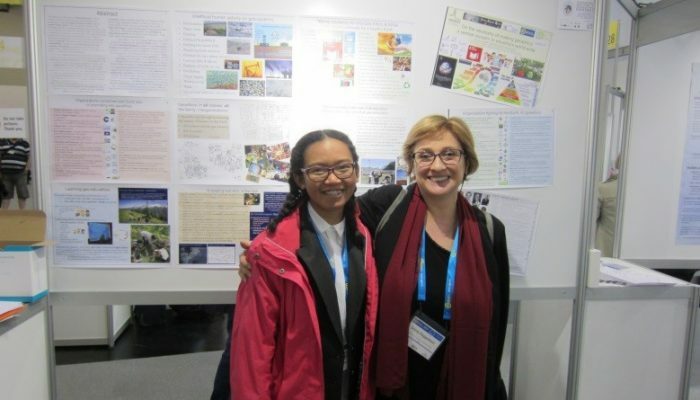 Today we welcome, potentially one of the youngest participants of this year’s General Assembly, Pimnutcha Promduangsri: a 17-year-old science baccalaureate student at Auguste Renoir high school in Cagnes-sur-mer, France, as our guest blogger. With a deep interest in the environment and taking care of the environment, Pimnutcha was a keen participant at the conference and gave an oral presentation in a session on Geoethics. Here she describes her experience as a young person in Vienna. My first time at the EGU General Assembly, April 2017, was exciting for several reasons:. Itwas the first time that I had ever been to a conference, let alone a large one like the General Assembly. It all started when my stepfather asked me if I would like to go with him. I immediately jumped at the chance. As the dates fell in term time, I decided to ask my high school teachers if they would agree to my being absent from school for a week. Without hesitation, they agreed that it would be a great opportunity for me. We arrived in Vienna on Sunday, 23 April, where it was colder than my hometown in the south of France, and much colder than my native Thailand. So began a marvellous week, discovering so much about the Earth, geosciences and geoscientists I shall tell you about only some of my highlights here. 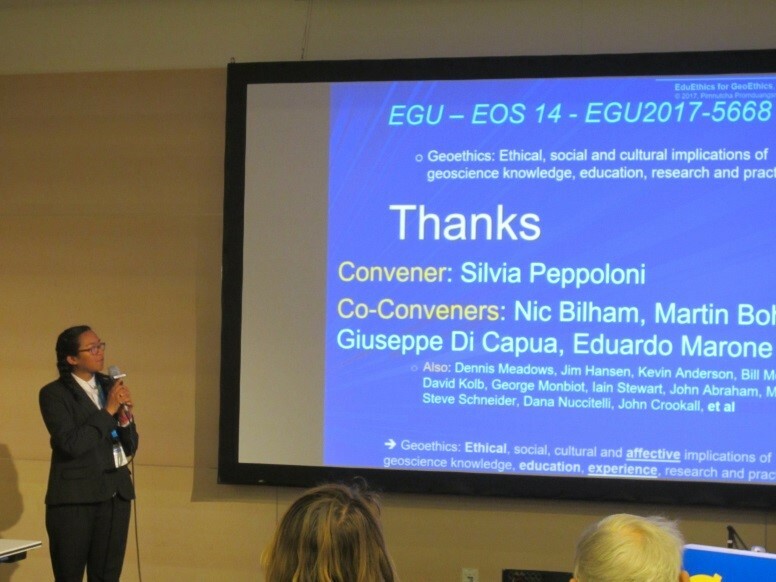 Probably the most exciting thing for me was helping to present during a session on geoethics. I did the introduction for a presentation titled ‘The ethics of educational methods to teach geoethics’. It was also exciting to talk with people who visited our poster, ‘On the necessity of making geoethics a central concern in eduethics world-wide’. 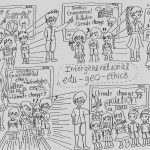 Our main message is that we must make geoethics the core of all education, and make ethics the core of all geo-education. Indeed: “our planet is in dire need of geoethical behaviour by all its citizens. That can only be achieved through education, on an intergenerational basis. 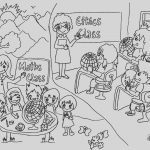 Geoethics education needs to tackle real issues, not with a philosopher’s stone, but using ethical practice. Geoethics happens essentially, not in what we say, but in what we do” (from the abstract for the presentation). Also “learning to behave ethically needs far more than knowledge about energy imbalance, pollution, acidity, ice melt, etc. It needs people to learn, and grow up learning, about what is right and wrong in regard to each aspect of our personal Earth citizen lives. That needs nothing short of a revolution in educational practice for all schools across the globe – a tall order, and an intergenerational process. The most powerful way to mitigate climate change, pollution, etc is to make geoethics the core of education across the globe. … we … emphasize the need to boost strong eduethics, so that the positive effects are passed on from generation to generation” (from the poster abstract). 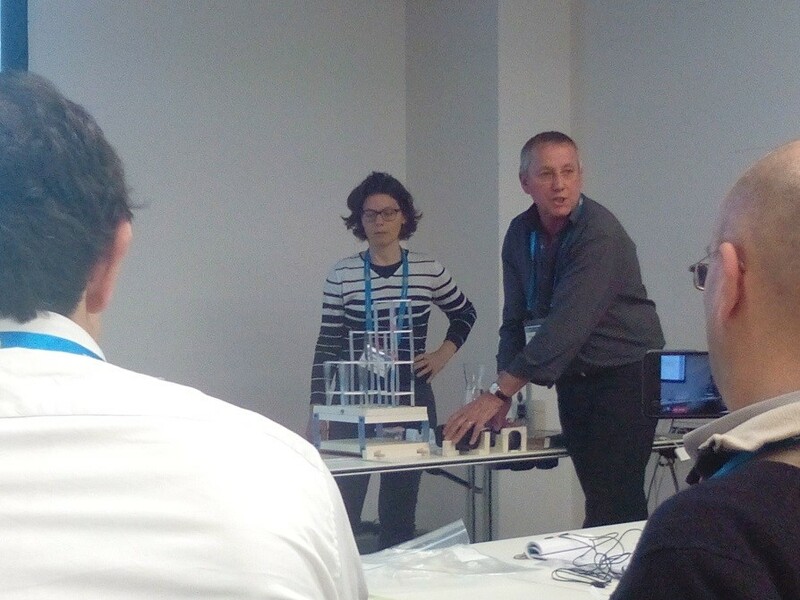 At the end of the presentation, someone said to me “you must be the youngest presenter” at EGU’s General Assembly. Maybe, but we must start young to fight for our planet, and not simply wait for something to happen. I was proud to be among such a wonderful group of people. I love drawing. So for the poster I made three pictures, with help from my sister, Pariphat, to illustrate the message that we want to convey. I hope that you enjoy them. 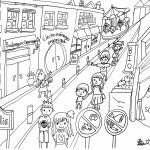 Cartoons by Pimnutcha and Pariphat Promduangsri. Click to enlarge. I would like to thank everyone I met at the conference for being so kind with me. I appreciated their patience in explaining things. I cannot list them all here. One exciting highlight was to meet with Iain Stewart, well-known for his BBC films. Another was a hands-on session, where we participated in some practical activities, for example, a demonstration of a volcano, erosion with real water, a model of the uplifting of the Himalayas with a sand box, and earthquakes with shaking platforms. I was impressed by their positive approach. I wish to thank Silvia Peppoloni and Giuseppi Di Capua for letting me be part of their session. I admire the work that they are doing in the IAPG – the International Association for the Promotion of Geoethics -. I hope to see more young people at the General Assembly next year. Meanwhile, please tell your whole family and friends about how important it is to fight against climate change. I have started my LinkedIn profile; please join me there. Showcase your film at Geocinema at the 2016 General Assembly!